This web site was managed by the former Department of Education Science and Training (DEST) and provided general information about the department. 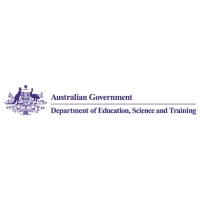 Further information on the department's programs was also available at the www.workplace.gov.au website. With the creation of a the Department of Education, Employment and Workplace Relations www.deewr.gov.au , a new website was launched on 6 December 2008 (www.deewr.gov.au ) which was the first step in creating a single publishing and access point for portfolio information. Please visit www.deewr.gov.au for current information.